Let me know that you saw me on Yelp and save $100.00. Tell me you saw me on yelp in the notes on my Contact Page or my Reservation Page and save $100.00 on a photo booth rental. Friday April 22nd, 2016 at Mile High Station in Denver, Colorado was a night to remember. 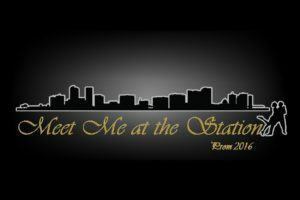 The 2016 prom for Elizabeth High School was unforgettable. There was amazing ambiance, great friends, great music and great fun. Masters Memories was there also to capture great photo booth moments. All work and no play makes DU Barristers dull boys and girls. 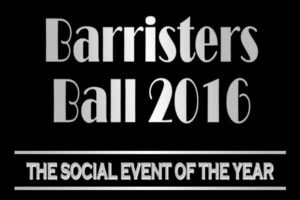 No worries about that as evidenced by the great fun had by all at the 2016 Barristers Ball! April 15th at the Colorado History Center was a time to dress to the nines and have a good time. There were good friends, good food, good music and Masters Memories Photo Booth was there too. With the “WELCOME TO COLORFUL COLORADO” sign as the backdrop they made some great photo booth memories. 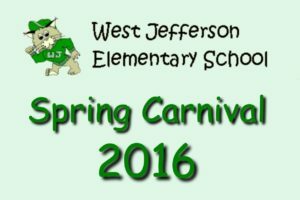 Tax day and a Spring snow storm were no worries for West Jefferson Students on April 15th, they had their Spring Carnival to enjoy. There were carnival games galore, an obstacle course, food, candy and a Masters Memories Photo Booth too. 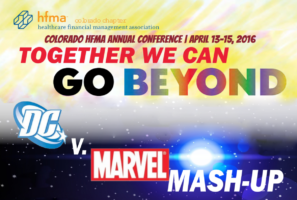 Batman vs Spider-Man or Superman vs Captain America, it was DC Comics vs Marvel Comics on Thursday Night, April 14th, 2016 as the Colorado chapter of the HFMA held their annual conference. There was good food, good music and a lot of great costumes. Masters Memories was there too with our open air photo booth. 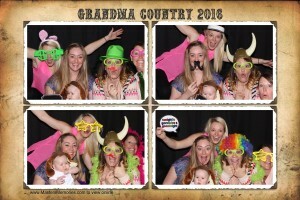 Party Booth was invited to celebrate with Grandma Country on Easter Sunday. There was good food, good friends and lots of family.